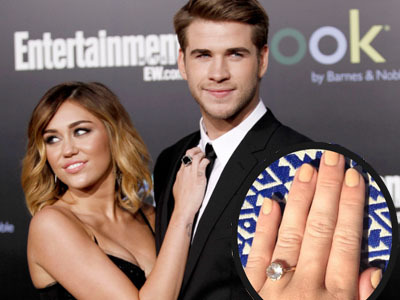 Maliere can’t stop looking at the beautiful Neil Lane designed engagement ring given to Miley Cyrus by her fiance Liam Hemsworth..
Ok, so ‘The Climb’ isn’t exactly at the top of our playlist and Miley Cyrus might not have the sophistication of a Marion Cotillard, but the engagement ring given to her by fiance Liam Hemsworth is certainly worth talking about! 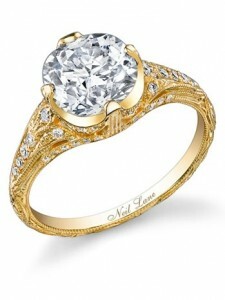 A breathtaking Neil Lane 3.5 carat cushion-cut diamond ring, handcrafted in no less than 18-karat gold with intricate floral diamond patterns done in the art nouveau style. 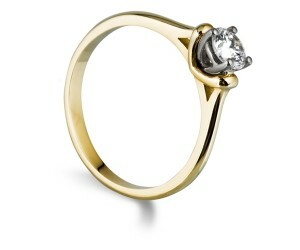 Not only is the centre diamond a sizeable rock, it’s an antique rock, dating back to the Nineteenth Century no less. The cost is estimated to be around $100,000, certainly a climb even in a Hollywood actor’s salary. It’s clear as the sizeable gem – the guy has taste and clearly loves his leading lady. Congratulations to them both! We don’t all have a Hollywood actor’s pay packet, but that doesn’t mean you can’t get her something equally elegant but without the massive cost. What do you think of Miley’s engagement ring? Do you think her fiance spent too much? Tell us your thoughts in the comments below or talk to us on Facebook or Twitter.